Light and fickle winds prevailed on Biscayne Bay on the first day of the Miami Olympic Classes Worldcup Regatta and three classes remained without valid results, among them the Lasers Radial. 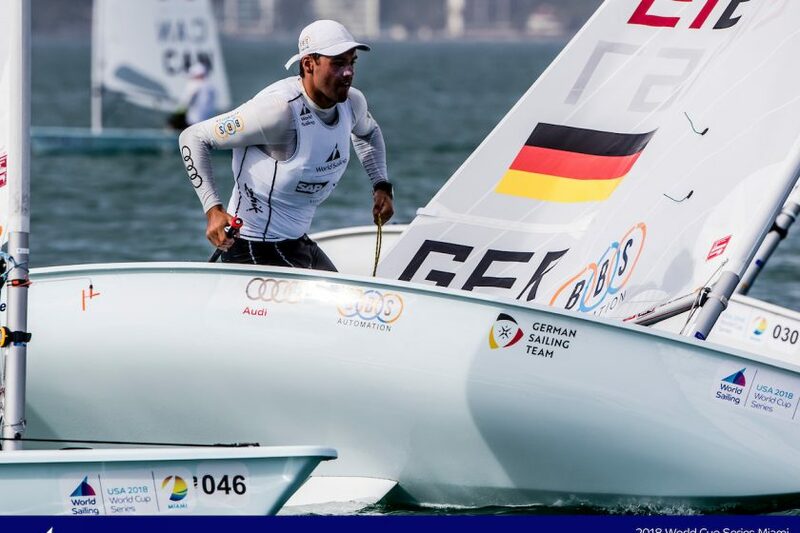 The Lasers Standard however completed two races with the big-breeze specialist Philipp Buhl GER on top with the day ranks 6 and 3. The 2nd-ranked Loïc Queyroux FRA is already 8 points back. Some of the favorites had a difficult day, Tom Burton AUS follows on rank 14, Jean-Baptiste Bernaz FRA on rank 32, Pavlos Kontides CYP is only 28th and Tonci Stipanovic CRO even 48th. Fresh winds have been announced for today and both Laser classes will most probably sail the full program. The ranking lists and the daily news.